BAKERSFIELD, CALIFORNIA (August 8, 2017) – For the seventh year, Racing for Wishes will compete at Bakersfield Speedway with dirt track action for a great cause. September 16th will see $1500 on the line for the IMCA Modifieds and fundraising for the Make-A-Wish Central California. Pass the helmet, a silent auction, and sponsorships will aide in the fundraising efforts with $2700 raised by Jeff Thielscher and the Racing for Wishes staff last year. 100% of the monies donated go towards granting wishes of children in Kern County. Auction items include a Savage Axis .30-.06 Springfield with a 22 inch barrel and a variety of gift baskets donated by drivers from each division. The youngest drivers at Bakersfield Speedway - the Mini Dwarfs - are a large part of the fundraising efforts. The drivers will go up into the stands to solicit donations and fill their helmets for the cause. "Bakersfield Speedway and the Schweitzer Family are avid supporters of charities in our community," Thielscher said. "Without them Racing For Wishes would not happen. One of the first partners for Racing for Wishes was Mini Dwarf driver Chloe Jones and we always want to have the Mini Dwarfs involved as well." The full lineup of racing on the one-third mile dirt oval will include IMCA Modifieds, IMCA Sport Mods, IMCA Stocks, Mini Stocks, Mini Mods, and Mini Dwarfs. Safelite AutoGlass is the headline sponsor of the Racing for Wishes VII. Safelite increased its racing involvement in 2016 as a sponsor of a NASCAR Truck Series entry and are branching out into the grassroots of the sport. They offer windshield repair and replacement services and are a great addition to the Racing for Wishes family. CalSpas is the 2017 presenting sponsor and has been a long time supporter of racing on the West Coast. CalSpas previously was a supporter of motorcycle racing at the famed Mesa Marin Raceway and has supported many stock car drivers from the region as well. Racing for Wishes also thanks Hoven's Automotive, Tire Man, KGET TV 17, iHeart Media, and Johnny Williamson State Farm Insurance for their support. Bakersfield Speedway is located at 5001 N. Chester in Bakersfield, CA and is a one-third mile dirt oval. Adult tickets are just $12 with seniors and military $10, kids 6-12 $5, and kids 5 and under are FREE. Grandstands open at 4 p.m. with racing beginning at 6 p.m. Parking is free as well. For more information, you can visit Bakersfield Speedway online at www.bakersfieldspeedway.com or call the track info line at (661) 393-3373. SHENANDOAH, VIRGINIA (June 19, 2017) Some of the best Late Model Drivers in Virginia and the Southeast are expected to race in the “3nd ANNUAL RACING FOR WISHES 150” Late Model Race to held on Saturday September 2nd at Shenandoah Speedway. The Virginia 3/8ths mile asphalt oval will welcome racers and fans from across the nation. The Legends will also be part of the action. The “3rd ANNUAL RACING FOR WISHES 150” will raise money for Make-A-Wish Greater Virginia. Three dollars of every ticket sold will be donated to Make-A-Wish and there will be a pass the helmet during the race to raise more money. 2 years ago they raised enough money to grant the wish of a young girl in the Shenandoah Area to go to Orlando and visit the Florida theme parks. Last year $1500.00 was raised. Racing For Wishes Director Jeff Thielscher has committed to make the race a $4000 to win event. They are using Shenandoah Speedway Rules. Notable drivers in past are past NASCAR Late Model National Champion Phillip Morris and Tyler Ankrum. Timmy “Mini” Tyrrell of Manassas, Virginia who is one of the youngest LMSC drivers in nation will be racing. At 12 years old, “Mini” races for children’s cancer and has been featured on several national television shows. He has won the championship at Shenandoah Speedway in the Late Model Division which made him the youngest late model champion in history. Pit gates will open at 1 p.m. with grandstands opening at 5 p.m. and racing at 7 p.m. General admission tickets will be $15.00 at the gate. All active military and first responders will be admitted free with ID! Pit passes will be available for $30.00. The 3nd ANNUAL RACING FOR WISHES 150 is presented by RealFast.TV, Huffman Trailer Sales, Allstar Lodging, AUTODEALZ, Pioneer Bank, and ShenandoahValley.com. SHENANDOAH, VIRGINIA (May 26, 2016) Some of the best Late Model Drivers in Virginia and the Southeast are expected to race in the “ 2nd ANNUAL RACING FOR WISHES 150” Holtzman Late Model Race to held on Saturday June 4th at Shenandoah Speedway. The Virginia 3/8ths mile asphalt oval will welcome racers and fans from across the nation. The See-Mor Customs Legend Cars and Virginia Sprint Cars will also be part of the action. The “2nd ANNUAL RACING FOR WISHES 150” will raise money for Make-A-Wish Greater Virginia. Three dollars of every ticket sold will be donated to Make-A-Wish and there will be a pass the helmet during the race to raise more money. Last year we raised enough money to grant the wish of a young girl in the Shenandoah Area to go to Orlando and visit the Florida theme parks. Racing For Wishes Director Jeff Thielscher has committed to a $1500.00 bonus to paid in the winner’s circle to the winner of the race no matter how many cars are there. If there are 15 late model cars the track will pay out their regular purse that is on their website. 1st-$1600.00 2nd $1,000.00 3rd $675.00 4th $575.00 5th $525.00….. The entry fee is $100.00 per car. Shenandoah Speedway Rules. Last year’s field was 19 cars. Timmy “Mini” Tyrrell of Manassas, Virginia who is one of the youngest LMSC drivers in nation will be racing. At 11 years old, “Mini” races for children’s cancer and has been featured on several national television shows. He has won several races at Shenandoah Speedway in the Late Model Division. The 2nd ANNUAL RACING FOR WISHES 150 is presented by Cleanenergymotorsports.com, Holtzman, Autodeals, See-Mor Customs, and Blakesley Sports Media. 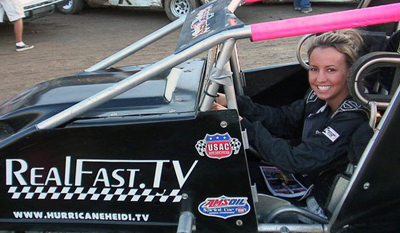 Bakersfield, CA – As a follow up to the announcement made at the SPEARS Southwest Tour Series Championship Awards Banquet in January, the following three events will make up the “2014 Pat Pettit Memorial Triple Crown”; August 16th at Irwindale Speedway, September 28th at Pikes Peak International Raceway and the November 1st race at Kern County Raceway Park. Jim Pettit, the father of three-time SPEARS Southwest Tour Series champion Jim Pettit II, announced he would fund the three-race bonus program in honor of his late wife Patricia, who the Pettit Family lost in December of 2010. Each of the three events that make up the “Pat Pettit Memorial Triple Crown” will pay a cash bonus to the winner. The winner at Irwindale Speedway on August 16th will score a total of $5,003 for the win, the winner of the September 28th race at Pikes Peak International Raceway will receive a series record of $15,003, and the winner of the “Pat Pettit Memorial Triple Crown” finale at Kern County Raceway Park on November 1st will take home $10,003 for the win. 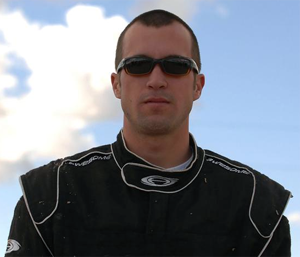 The driver who scores the most points within the three races that make up the “Pat Pettit Memorial Triple Crown” will be awarded a commemorative trophy and a $1,003 cash award at the 2014 SPEARS Southwest Tour Series Championship Awards Banquet. If a driver can win all three races of the “Pat Pettit Memorial Triple Crown”, they would collect over $31,000 in prize money. BAKERSFIELD, CA – The SPEARS Southwest Tour Series proudly introduces a new program to reward teams that compete on a regular basis. Teams that qualify for the “SPEARS Frequent Flyer Program” will receive up to $1,000 just for starting a SPEARS Southwest Tour Series main event in 2012. For teams of the SPEARS Southwest Tour Series to be on of the “SPEARS Frequent Flyer Program”, they must run consecutive races. The standard start money for a SPEARS Southwest Tour Series main event is $450. Once a driver competes in two consecutive events, he or she will receive $600 in start money. After competing in three consecutive races, the start money will increase to $750. At their fourth consecutive start of 2012, the team is guaranteed a minimum main event pay-out of $1,000, and will continue to receive $1,000 in start money for each consecutive race there after. “The ‘SPEARS Frequent Flyer Program’ rewards those teams that are committed to the series. This is tremendous for our race teams, our host racetracks and most importantly our race fans. If there has ever been a time for the SPEARS Southwest Tour Series to move to the next level, the time is now.” Collins concluded. For the past three seasons, the SPEARS Southwest Tour Series has had a program in place known as the “Bay BioDiesel Bonus”. The program sponsored by Bay BioDiesel pays drivers a bonus for competing in two consecutive SPEARS Southwest Tour Series races, raising the start money from $450 to $600 for drivers on the program. This program is still in place for 2012, and will be activated once a driver runs two consecutive races. For a driver’s third consecutive race, the “SPEARS Frequent Flyer Program” kicks in, and the driver receives $750 in start money, followed by an increase to $1,000 for their fourth consecutive race, and each consecutive main event for the remainder of 2012. The ten-race 2012 SPEARS Southwest Tour Series championship begins March 31st at Stockton 99 Speedway. About SPEARS MANUFACTURING: Spears Manufacturing is a world leader in plastic pipe fittings and valves. SPEARS’ maintains over one million square feet of manufacturing facilities in four states and nine distribution centers across the USA for worldwide distribution. For more information go to http://www.spearsmfg.com. Bakersfield, CA 2010 Bakersfield Speedway Track Champion Brad Pounds drove his cars to 2 wins in both the IMCA Modified and Super Late Model Main Events on Saturday Night during The 26th Annual Bud Oval Dirt Nationals at The Bakersfield Speedway. Pounds started the IMCA Modified Main Event on the outside pole and powered away from Bobby Hogge IV and led the race from wire to wire to win his 9th IMCA Main Event of the year. Pounds started the Super Late Model Main Event in the 5th position, on lap 6 he passed to take over 4th place. He continued to knock off cars and at the halfway point in the race he found himself running in 2nd. On lap 31 he took the lead and powered away from the field to take the checkered flag. Pounds started the 2011 Season with a bang, winning 3 main events during one weekend. On February 12th he won 2 IMCA Modified Races on the same day at 2 different tracks. He started at Victorville Auto Raceway and won there in a day race and drove to Giant Chevrolet Kings Speedway and won a night race. The next day he went back to Victorville Auto Raceway and won there again for 3 wins in a weekend. Brad Pounds has 140 career wins. You can watch both races on www.realfast.tv on the GoliveStream.TV Network. The new KT Racing website is coming together rapidly. Stay Tuned For KT Racing News! More news coming soon from KT Racing. We will have news about racing, our drivers, sponsors and how we can provide marketing for your business.